For corporation-owning billionaires, the limits of space are slowly being proving to be anything but. For everyone else, though, the idea of experiencing outer space rests on whichever billionaire decides it’ll make enough money for them. The team at Moonshine Crea wants to people in an astronaut’s shoes — literally. 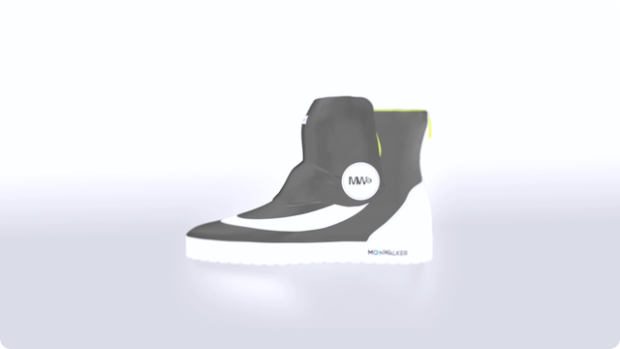 The company claims its 20:17 MoonWalker boots are able to replicate the feeling of zero gravity using a set of N45 magnets in the soles. Apparently, they generate a substantial enough repellant force to make people feel like they’re floating on the surface of the moon. Breathable construction, memory foam soles, and quality materials, along with an E-Ink screen and companion app control round out the package. A pair of MoonWalkers goes for $79 and is expected to ship in April 2017 should its Indiegogo campaign raise $40,000 by June 22nd, 2016. The MoonWalker’s campaign page is woefully thin on details on how the boots actually function, pushing this idea into the territory of being phony. With something as weird and outlandish as this, it’s better to err on the side of caution. As the old adage goes: If it sounds like its too good to be true, it’s because it is.